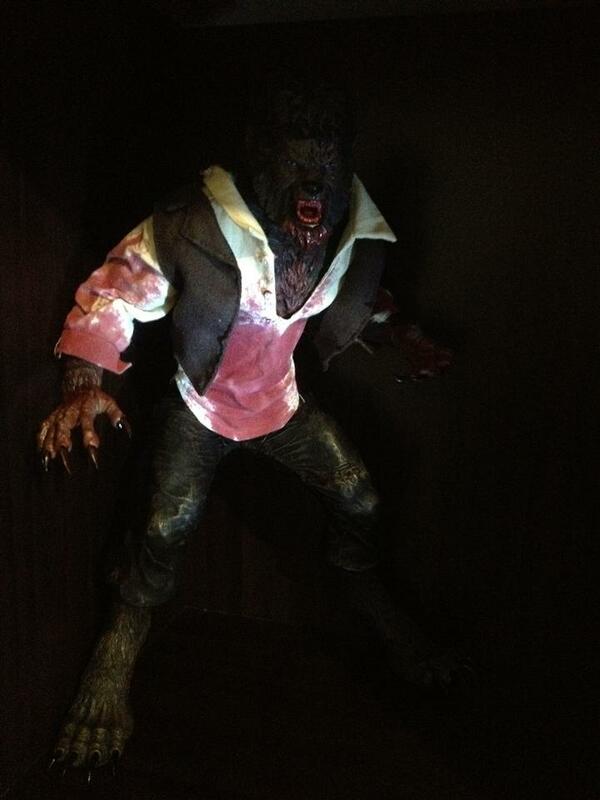 Mezco 12 Inch Deluxe Wolfman collected in Figure Collection by Tayler Rowe - Collected It! This figure will seriously howl right off your shelves. Mezco have captured the movie likeness of Benicio Del Toro from 2010's "The Wolfman" to the point of getting chills down your spine, the added blood soaked fabric shirt brings an un-nerving edge to the figure. After a bit of research, I discovered that the legs on the 12 inch barely move and is EXTREMELY difficult to make stand on its own, but by putting him in a dark corner will be perfect for that dark feeling the movie brings to the table. Tayler hasn't entered a description yet.